How many 5+ letter words can you find? If you're unfamiliar, here are the rules. 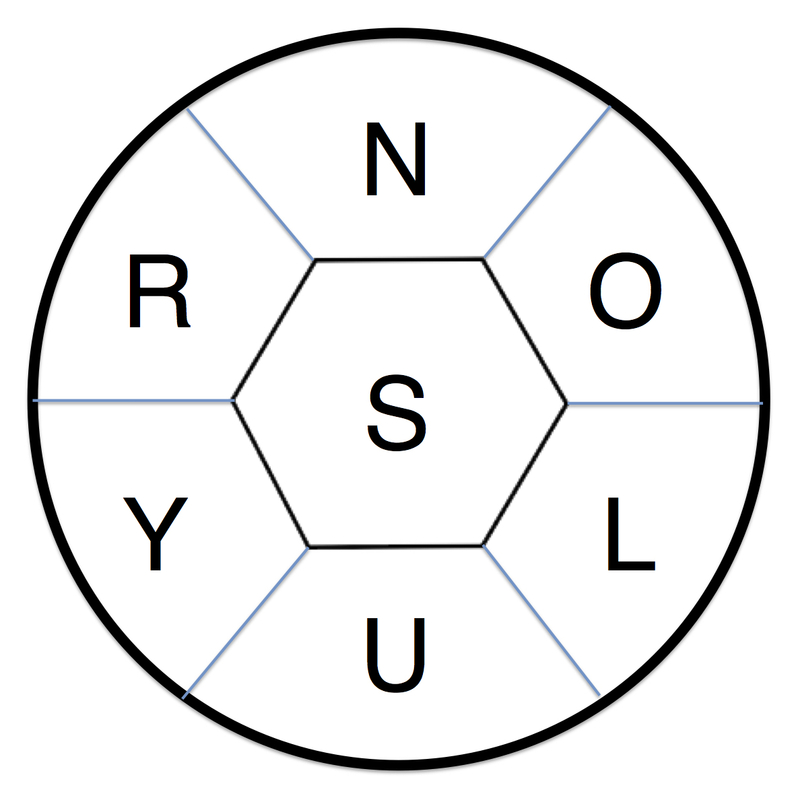 You may only use the letters in the hive to create your words, and you must use the center letter "S" in each qualifying word. Words must be 5+ letters long. And they can't be proper names, non-English words, etc. Rule of thumb, if it's not in the OxEn dictionary, it doesn't count. I created the hive, so obviously have an advantage, but I found 17 points worth of words, and friends/family gave me 2 more words, for a total of 19. Can you beat my score? I've come up with 21, including the 2 point answer. Not the answer you're looking for? Browse other questions tagged word no-computers letters crosswords or ask your own question. Can you Turn MI to MU? Three-letter words. Or are they longer? What is the Sparsest Word?